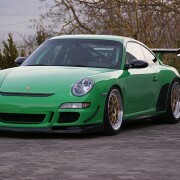 The Porsche 911 GT3 RS (997) has been considered one of the most appealing sports cars, which was the perfect excuse of different tuning companies worldwide to shape it into something ever more extraordinary. While some resort to standout and insane aero kits, making it extremely aggressive, others have played their hand a little bit different, modding the car with lightweight materials, which automatically leads to improve performance under the hood. 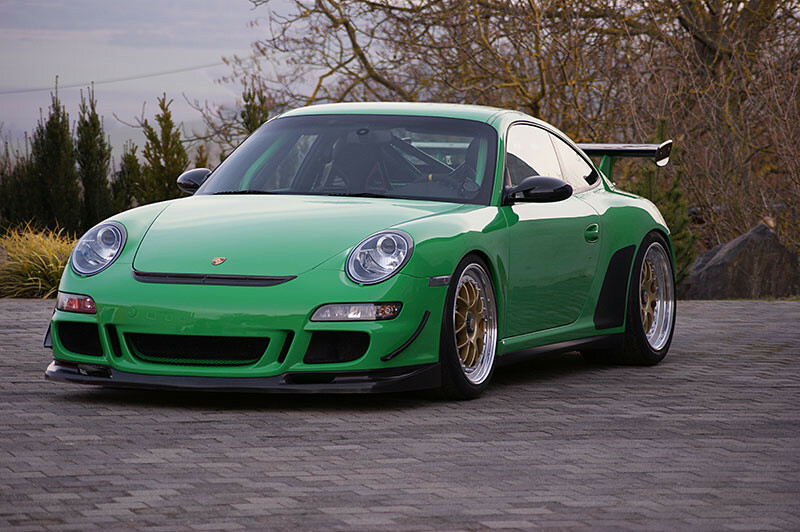 The aftermarket specialists from KAEGE tuner have also paid their homage to this gorgeous 911 GT3 RS, in the 997 generation, the model receiving a lot of lightweight features. First, the model has received the M+M muffler system with fan type exhaust system manifold which shaves off 7 kilograms, along with 200 cell cats, Sachs sports clutch with lightweight flywheel, short shifter, carbon fiber air box as well as the new electrical power steering pump. 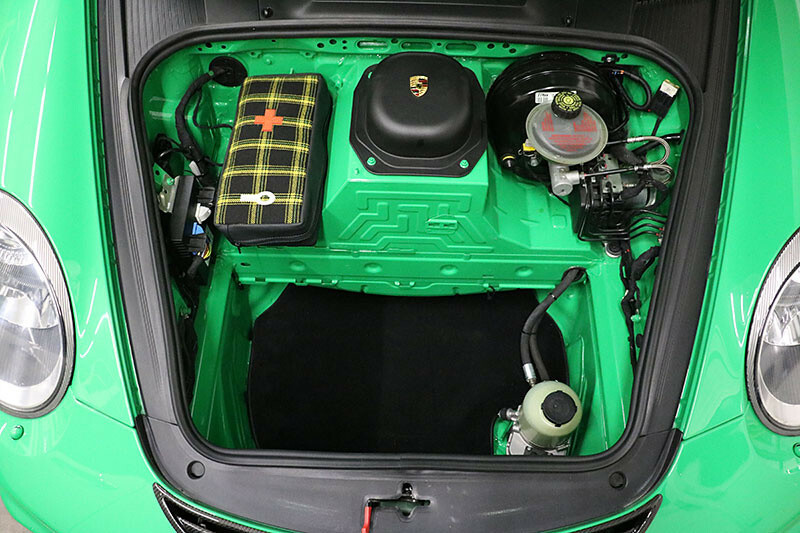 The extensive package also includes the KW suspension system, custom air-filters, Sachs sports clutch, sport exhaust system or the Liblox lithium-ion battery. The tuning program continues with the high-performance and lightweight 19-spoked BBS wheels, all wrapped in the Michelin Pilot Sport Cup 2 tires, shaving off another 9 kilograms. 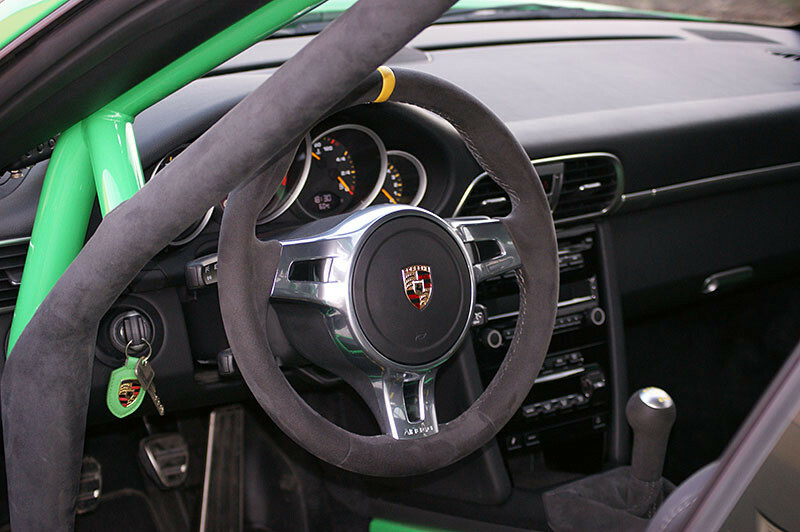 Second, the cabin has been also fitted with the retro fabric upholstery, adding the exterior`s tartan color on the rollover bar, along with a GTR3 RS 4.0 steering wheel, sport seats, and a few other mods in the trunk. 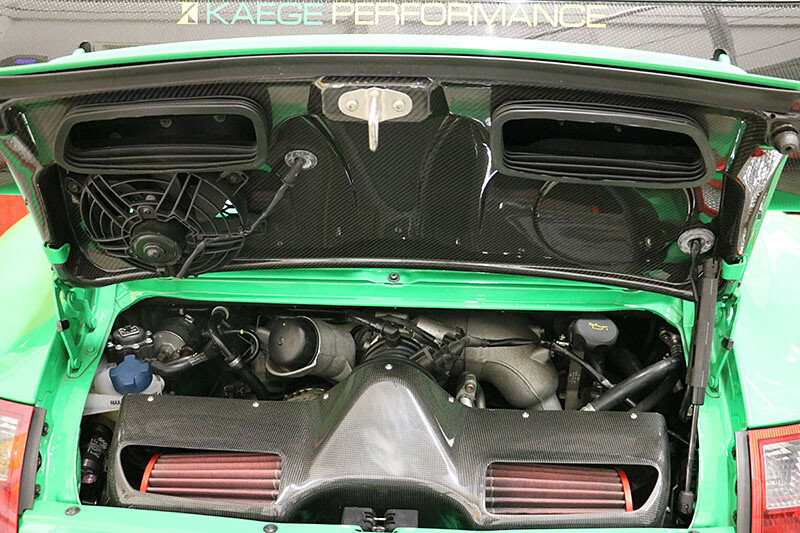 Under the hood, the KAEGE Porsche GT3 RS 997 has received 25 horsepower more to the car`s standard 415 horsepower, all squeezed from the same 3.6-liter flat-six engine. The tuner is still working on a new upgrade power kit.